Hindu holy month of Shraavan marks the beginning of festivities. As a child, I used to see my Mom perform a special Choodi Pooja on Fridays and Sundays of Shraavan. Even now, I call Mom asking how this is done, how do I do that and stuff. Such family traditions and rituals make me feel myself closer to my roots. For such saatvik celebrations, I cook my Mom's Upavas recipes. Hope you guys will like them too. 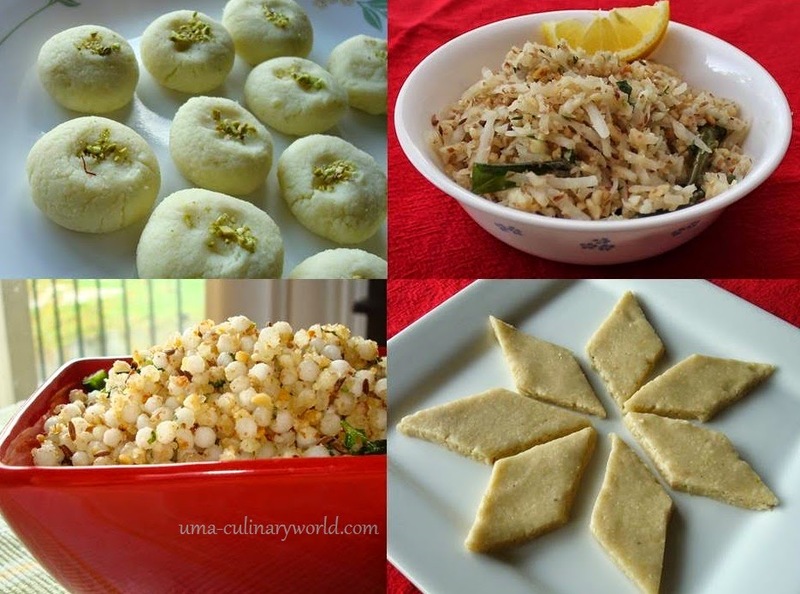 Thanks a lot for sharing with us the recipes for the upcoming vrats particularly in the navratnas.